Add a touch of elegance to all your upcoming occasions with tablecloths and napkins from Sohn Linen Service! 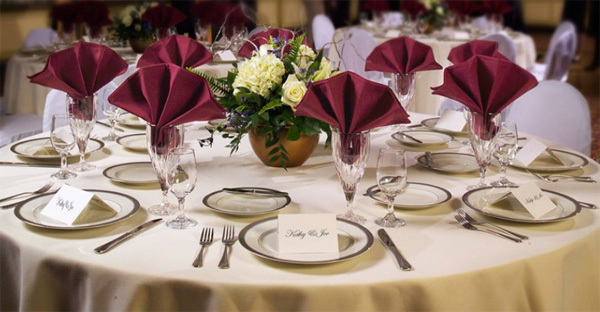 We have over twenty napkin colors to choose from and several sizes and colors of tablecloths. Just call 7-10 days prior to your event and place your order. Payment is due at time of pick up (all linen orders require a security deposit). Please call 1-800-292-8689 or visit 2401 Wood Street, Lansing, for details.